I'm excited to introduce you today to a new-to-me fabric store. I met Pineapple Fabrics earlier this year at QuiltCon East, where their booth was inviting and fun. Right from the start I could see that they are a smart company. Their goal is to help anyone jump right in to sewing. To that end they offer a wide range of precut fabrics conveniently matched to free patterns, so you can actually celebrate and enjoy a finished project! Lots of stores offer precuts, but Pineapple Fabrics' precuts are different. For one they are not necessarily from the same collection or even the same manufacturer! Instead an in-house designer creates unique collections for the best possible variety. Pineapple Fabrics' precuts, called Pineapple Packs, are not composed of only the same size cuts either. After all many patterns call for large squares and small squares; fat quarters and strips. Pineapple packs include the cuts you actually need, saving you time and reducing leftover fabrics. The Alice Pineapple Pack includes 5 "Bonus Quarters" each 21" x 21". I love Wasabi the Cat. Other packs, such as Ellie and Fran, include a variety of cuts like strips and squares. There are six different types of Pineapple Packs to choose from and patterns to coordinate with the cuts! 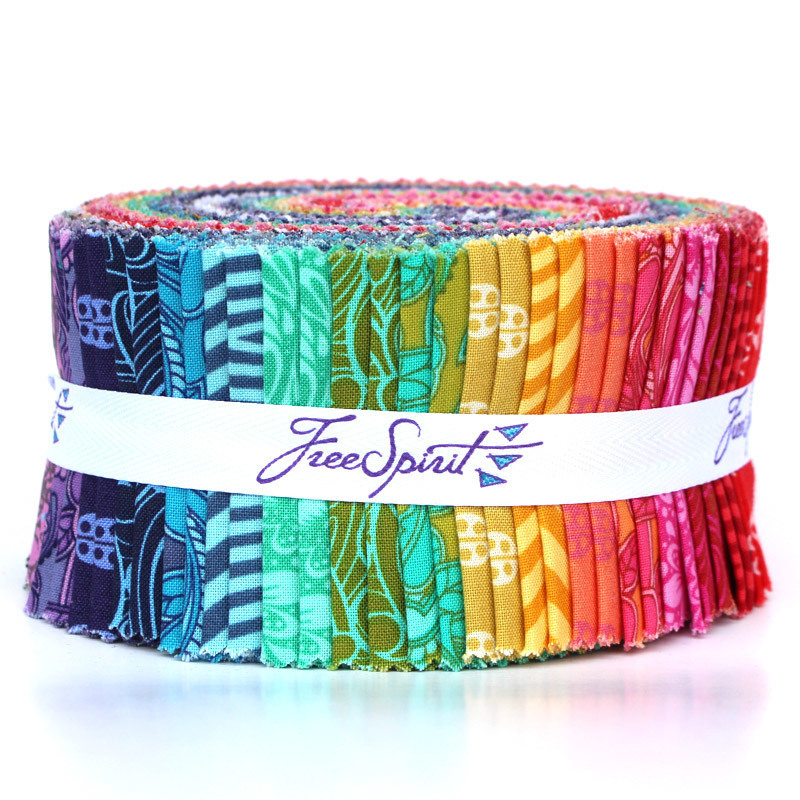 Choose your favorite free pattern for each pack you purchase. For example, if you purchased the Christmas Wrapping Paper pack, you could opt to receive this Wishing On a Star pattern free, to make up some Christmas pillows. Easy-peasy! 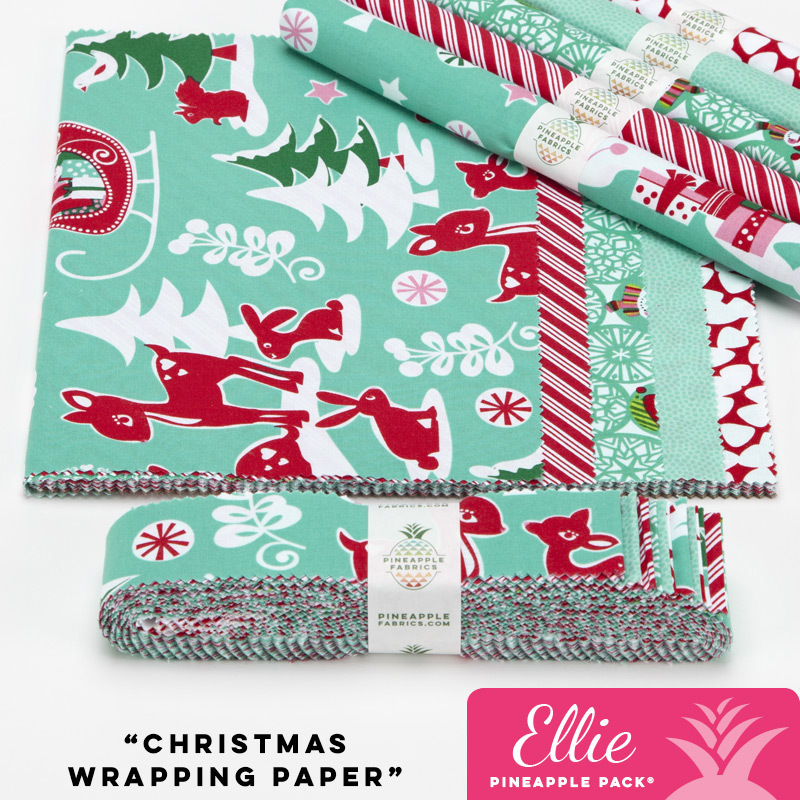 Besides an extensive collection of original precuts, Pineapple Fabrics also offers fabric by the yard, wide-width backing fabric and precuts by popular designers. They carry fabrics by Windham, Michael Miller, FreeSpirit, Rowan, Andover, Dear Stella, Paintbrush Studio, and more. 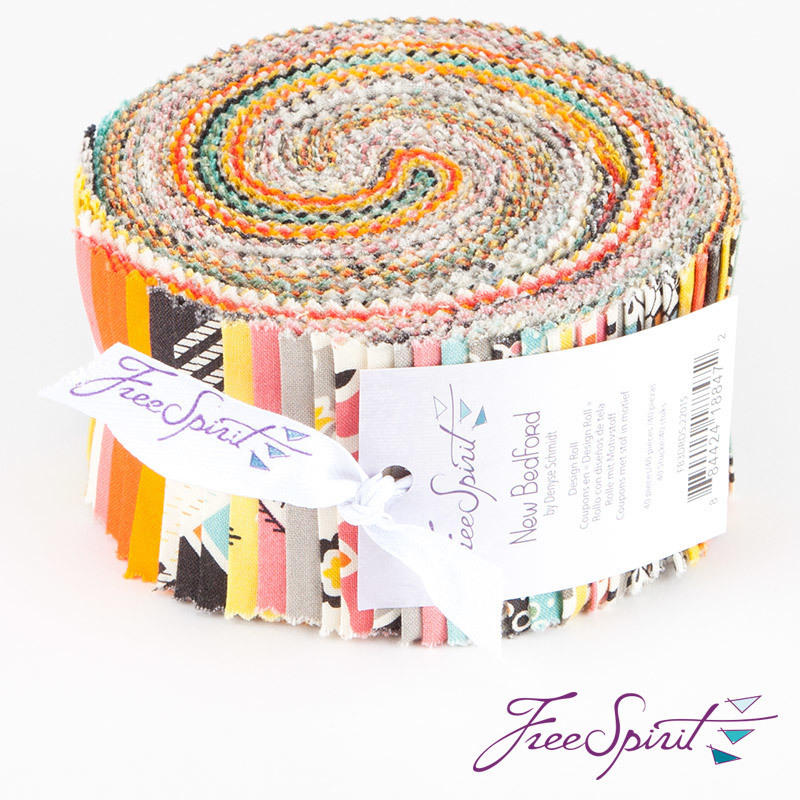 You'll also find Aurifil thread, Creative Grid rulers and various popular notions. 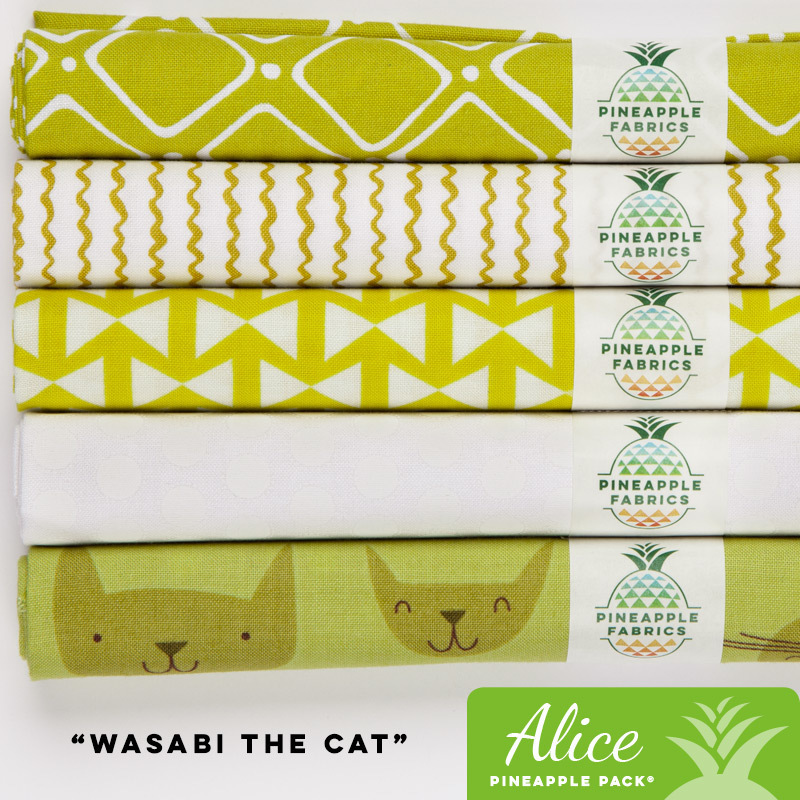 Our timing is pretty lucky because Pineapple Fabrics is having their annual summer sale! It starts tomorrow, August 3rd and runs through Saturday the 5th at 4 pm EST. You'll find most everything marked down (and not just a little bit - lots of things are already marked down online). This is one of the rare times they open their North Carolina warehouse to the public. If you're in the area, see this post for details about the event. With trunk shows and in-person specials, it'll be a fantastic finish to the week! To thank you for considering their store, Pineapple Fabrics is giving away a beautiful Heather Ross Mendocino fat quarter set to one lucky reader! Wow! This prize ships internationally, so everyone can enter. For your chance to win, add a comment here naming one of your favorite fabrics or designers. Enter now through midnight EST on Saturday - the last day of the Pineapple Summer Sale. Gosh, wish I could win! Um... one of my favorite designers is Heather Ross! Giveaway Closed! The lucky winner is Rebecca who loves Allison Glass. I'll be in touch, Rebecca!